As business professionals, it’s imperative that you keep your organization’s technology up to date with the latest operating systems and software patches, as lapses of network security can be devastating. 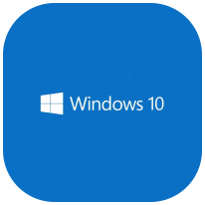 Microsoft is releasing its next operating system, Windows 10, on July 29th, 2015. To entice users to upgrade to their new offering, Microsoft is offering a free upgrade to those who currently use Windows 7 and Windows 8.1. What does this mean for your business? To say the least, it’s now more economically viable to be running the most recent software on your PCs than ever before. Blue Jean Networks wants to help your business take advantage of this opportunity before it’s too late.